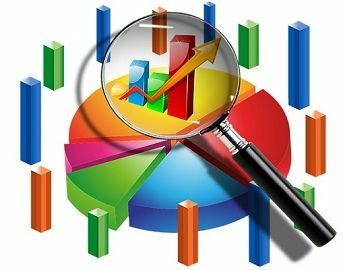 In statistics vocabulary, we often deal with the terms parameter and statistic, which play a vital role in the determination of the sample size. Parameter implies a summary description of the characteristics of the target population. On the other extreme, the statistic is a summary value of a small group of population i.e. sample. The parameter is drawn from the measurements of units in the population. As against this, the statistic is drawn from the measurement of the elements of the sample. While studying statistics it is important to the concept and difference between parameter and statistic, as these are commonly misconstrued. Meaning Statistic is a measure which describes a fraction of population. Parameter refers to a measure which describes population. A statistic is defined as a numerical value, which is obtained from a sample of data. It is a descriptive statistical measure and function of sample observation. A sample is described as a fraction of the population, which represents the entire population in all its characteristics. The common use of statistic is to estimate a particular population parameter. From the given population, it is possible to draw multiple samples, and the result (statistic) obtained from different samples will vary, which depends on the samples. A fixed characteristic of population based on all the elements of the population is termed as the parameter. Here population refers to an aggregate of all units under consideration, which share common characteristics. It is a numerical value that remains unchanged, as every member of the population is surveyed to know the parameter. It indicates true value, which is obtained after the census is conducted. A statistic is a characteristic of a small part of the population, i.e. sample. The parameter is a fixed measure which describes the target population. The statistic is a variable and known number which depend on the sample of the population while the parameter is a fixed and unknown numerical value. In population parameter, µ (Greek letter mu) represents mean, P denotes population proportion, standard deviation is labeled as σ (Greek letter sigma), variance is represented by σ2, population size is indicated by N, Standard error of mean is represented by σx̄, standard error of proportion is labeled as σp, standardized variate (z) is represented by (X-µ)/σ, Coefficient of variation is denoted by σ/µ. A researcher wants to know the average weight of females aged 22 years or older in India. The researcher obtains the average weight of 54 kg, from a random sample of 40 females. Solution: In the given situation, the statistics are the average weight of 54 kg, calculated from a simple random sample of 40 females, in India while the parameter is the mean weight of all females aged 22 years or older. A researcher wants to estimate the average amount of water consumed by male teenagers in a day. From a simple random sample of 55 male teens the researcher obtains an average of 1.5 litres of water. Solution: In this question, the parameter is the average amount of water consumed by all male teenagers, in a day whereas the statistic is the average 1.5 litres of water consumed in a day by male teens, obtained from a simple random sample of 55 male teens. To sum up the discussion, it is important to note that when the result obtained from the population, the numerical value is known as the parameter. While, if the result is obtained from the sample, the numerical value is called statistic. You are doing very good.